Sagi and Edie, The Salsa FREAK!! partner up in this EXPLOSIVE demonstration of Hot Musicality moves in Salsa dancing! Each move is Demonstrated Step-by-Step in a very easy-to-follow process. This is the LATEST DVD in her entire Musicality series!! 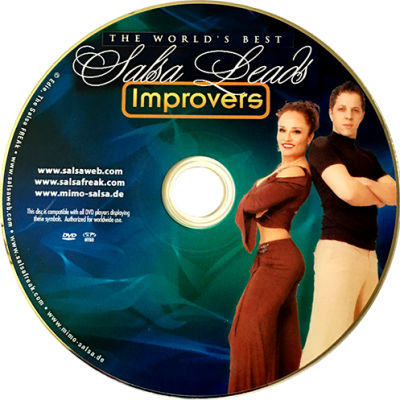 Sagi lives in the country of Scotland and has taught thousands how to dance Salsa for many MANY years! He also hosts events and is one of the country’s top DJ’s!